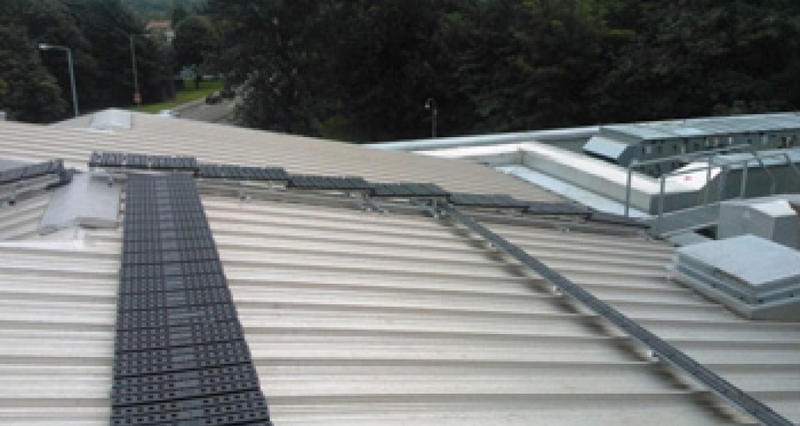 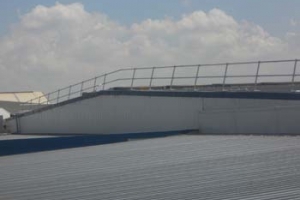 Kee Safety's fall protection system KEE WALK roof top walkway was installed to a standing seam roof to provide a safe level walkway and to avoid any damage to the roof sheet. 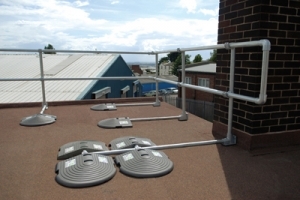 KEE WALK roof top walkway was chosen as a preferred fall protection solution due to the ability the KEE WALK has at handling changes in level, the lead time from receipt of order and the ease of installation. 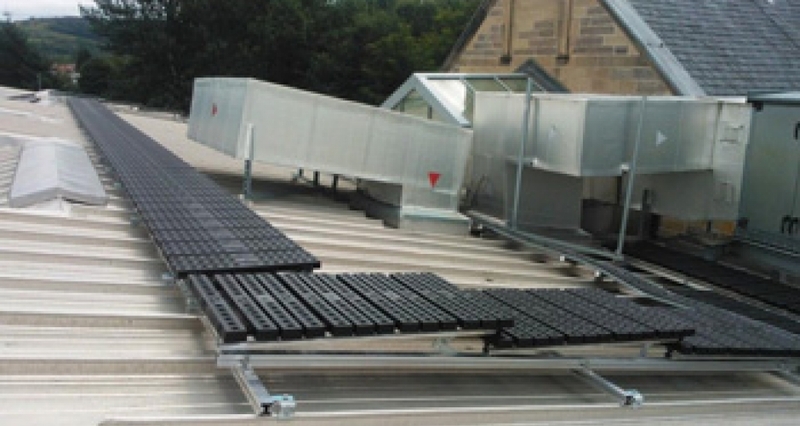 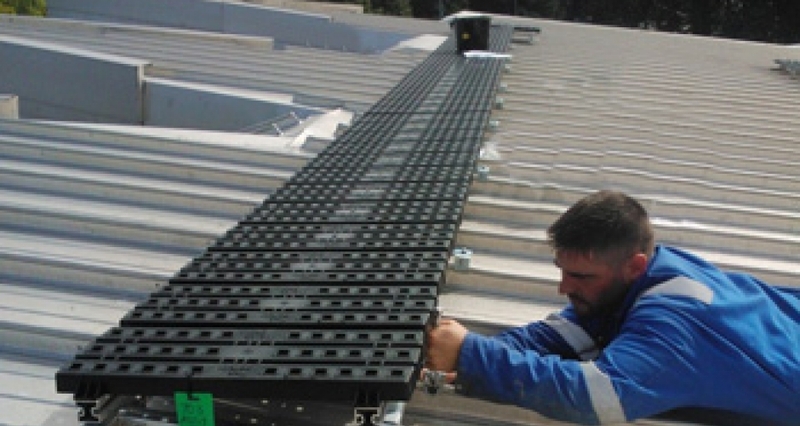 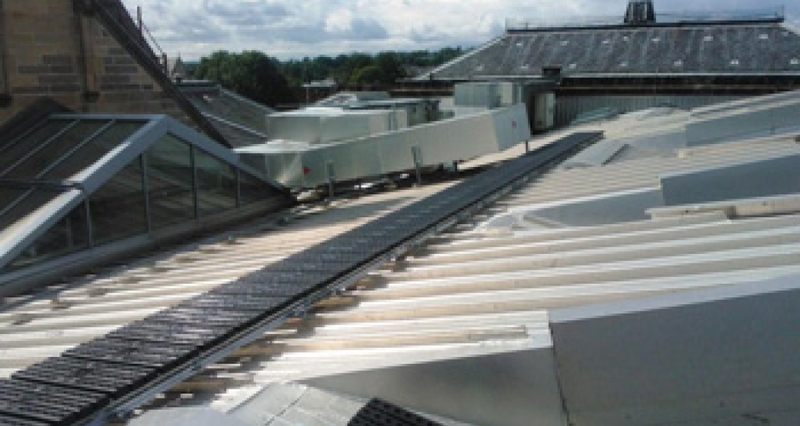 The KEE WALK installation consisted of 45m of roof top walkway to a standing seam roof. 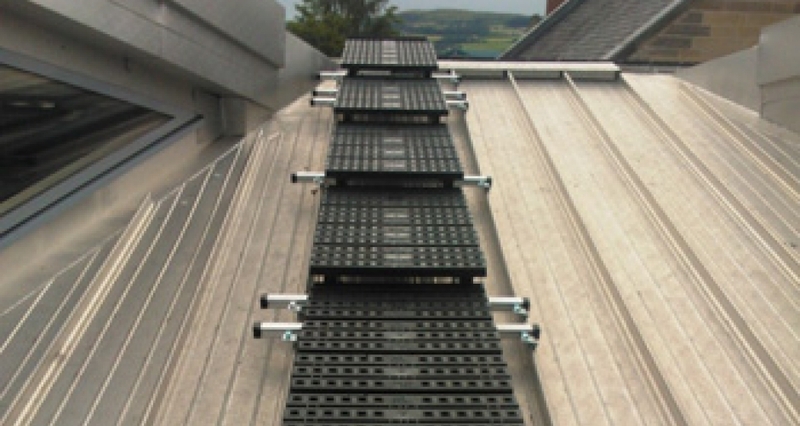 The design varied from longitudinal, traverse and stepped sections.